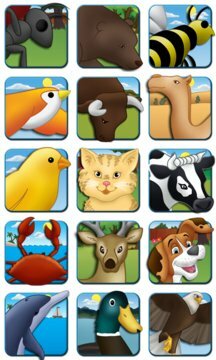 “First Words: Learning Animals” is the first educational and Nr. 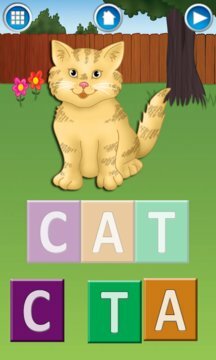 1 paid "kids + family" application for Windows Phone that helps children learn letter sounds (phonics), letter names, how they form words and spelling. Featured by Microsoft in the US, the UK and numerous stores throughout the world. Installed on Jessica Alba's Windows Phone (ad playing on NBC) and featured on Windows Phone 8 Launch event and Build 2012 event. ● Learn letter sounds and letter names. ● Learn the words and how to spell. ● Learn to recognize letters (upper and lowercase) and match them to words. ● Unique navigation that allows the child to explore all the words. ● Tap the image of the word to discover its sound and learn its name. ● User interface specifically developed for children fingers. ● Studio recording of letters, words and spelling. ● Six different settings to increase difficulty as children learn. As a MOMs with Apps member, we follow the "Know what's inside" best practices for kids' apps. ● “First Words: Learning Vehicles” and “First Words: Learning Shapes and Colors” in Spanish, French and German.